After a years-long struggle for better public safety protections from crude oil trains, Baltimore City residents won a major victory in April 2018. Baltimore passed the Crude Oil Terminal Prohibition, landmark legislation that uses the city’s zoning code to prevent the construction of any new and expansion of any existing crude oil terminals in Baltimore. Clean Water Action has partnered for years with communities all across Baltimore to protect the city from crude oil train shipments. These shipments can cause catastrophic explosions if the trains derail. The construction of new crude oil terminals also enables increased extraction of oil at a time when the nation and the globe needs to reduce the oil and gas used to keep warming below 2◦C. With the Crude Oil Terminal Prohibition, Baltimore City has taken a stand for public safety and against locking in further fossil fuel developments that drive climate change. Shipments of crude oil by rail increased exponentially between 2008 to 2014, as oil companies began extracting crude oil from the Bakken shale fields of North Dakota and the tar sands in Canada. In the same years, port cities across the country saw a flurry of new terminals proposed — and communities near rail lines across the continent saw a frightening increase in dangerous and deadly explosions. The crude oil coming from these regions is extraordinarily volatile, similar to jet fuel, and can cause major explosions when trains derail. But federal regulations preempt local rules about railways so impacted communities were left with little recourse. When Targa Resources, a Texas-based oil company, proposed to build a new crude oil terminal in South Baltimore, communities fought back and won — but knew that they might not be able to win the same victory again. That’s why Clean Water Action worked with communities in south Baltimore and across the city, with allies at the Environmental Integrity Project and Chesapeake Climate Action Network, and environment, labor, faith-based, and community organizations to pass the Crude Oil Terminal Prohibition. This bill amends the city’s zoning code to place crude oil terminals in the same category as trash incinerators and nuclear power plants: too dangerous to allow any more to be built in city limits. The Crude Oil Terminal Prohibition is a victory for public safety, clean water and air, and climate change — but the work isn’t done. No local laws can prevent crude oil — let alone other hazardous shipments — from moving through Maryland to destinations outside of the state. Next, Clean Water Action is looking for additional ways to protect Maryland communities from crude oil trains traveling to terminals in other states, and looks forward to fighting for offshore wind farms in Maryland to help create a fossil-fuel-free future for Maryland and clean energy jobs for Baltimore and the Eastern Shore. Clean Water Action successfully helped pass two major pieces of legislation during the 2018 Legislative Session in Maryland. Priority legislation on septic system management and metro funding became law. Septic Stewardship Plans (HB1765): This legislation incentivizes local jurisdictions to create Septic Stewardship Plans based on septic system best practices. Complete Streets (HB535/SB407, HB744/SB850): Both bills promote Complete Streets policies, one on state roads and the other creating a program to help local jurisdictions create and implement policies.The bills were amended to include green stormwater infrastructure, such as bioswales, as a piece of Complete Streets. Complete Streets policies also take into consideration the safety and accessibility of all road users — including pedestrians and people on bicycles. Fix It; Fund It – Metro Funding (HB372/SB277): Maryland has agreed to increase the metro funding bills to include the full Maryland share ($167 million) and additional funding for the Baltimore transportation system. Forest Conservation Act (HB766/SB610): The Forest Conservation Act would have increased the replanting requirement for priority forests (ecologically important, contiguous forest) to one acre replaced for every acre cut down. Community Healthy Air Act (HB26/SB133): Neither version of this bill was voted out of Committee. We were disappointed to see the this study of air emissions associated with large animal feeding operations fail, especially as the federal government reduces its oversight of animal-related emissions. Clean Water Action works on elections to make sure strong voices represent Clean Water members. We focus our efforts where we have strong member bases that can move the needle on a race, along with recognizing our incumbent legislative champions. District 3 is a district that includes the City of Frederick and many of the surrounding suburbs. Our Clean Water members in that area have been active supporting smart growth and water protections, focusing on the health of drinking water sources such as Lake Linganore and the Monocacy River. This district is currently represented by Senator Ron Young, a consistent environmental and smart growth champion in Annapolis. He has worked with us on multiple issues — most recently his efforts to improve the Forest Conservation Act and better preserve Maryland’s priority forests. We are also endorsing Karen Lewis Young and Carol Krimm in sub-district 3A and Ken Kerr in sub-district 3B. District 9 includes Ellicott City and western Howard County and southeastern Carroll County. We are endorsing Katie Fry Hester in her race challenging incumbent Gail Bates. Katie has worked in corporate responsibility and is practiced at bringing diverse stakeholders together to find sustainable solutions. In sub-district 9A we are endorsing Natalie Ziegler and Steve Bolen replace incumbents who consistently vote against environmental initiatives. Delegate Shane Robinson in District 39 is a consistent voice for the environment in Annapolis. We have been able to work with him on multiple successful campaigns, including the Keeping Antibiotics Effective Act to shift Maryland’s animal industry to more responsible use of antibiotics and phasing out the use of mercury in certain consumer electronics. Delegate Stephen Lafferty in District 42A is another stalwart champion for clean water in Annapolis. He has carried significant legislation for Clean Water, including our work to reduce pollution from septic systems and a bill this year to require state roads to incorporate complete streets and green stormwater infrastructure when redesigned. Metro Funding: One of the most important issues this session was dedicated funding for Metro. Mass transit has significant environmental, health and economic impacts, and clean water voters and allies were very clear on their support for a sustainable funding stream for Metro. Elected officials took notice when people made their voices heard, and committed $154 million in dedicated funding to revamp Metro. By funding the full amount allocated as the state’s share, Virginia sent a strong message to regional partners to work together and contribute their own full share. 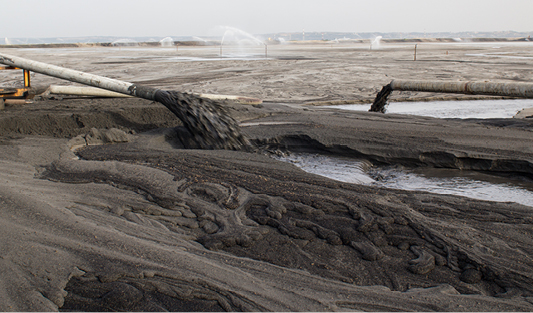 Coal Ash Moratorium: Throughout the 2018 legislative session, CWA and our partners advocated for policy solutions to update Virginia’s coal ash storage and disposal laws. Without these important updates to our state laws, toxic coal ash pits will continue to pose a significant hazard to our health and the environment. Last year, lawmakers placed a moratorium on coal ash closure through spring 2018. Thanks to clean water voters and allies, lawmakers extended the moratorium on “cap-in-place,” preventing utility companies from leaving toxic waste in unlined pits adjacent to major waterways such as the Potomac and James Rivers. Strong coal ash solutions that safeguard our drinking water are more critical than ever with the Trump Administration’s effort to weaken the federal coal ash rule. Stormwater Local Assistance Fund (SLAF): Stormwater pollution from urban and suburban runoff into local streams is increasing, and risks goal to restore the Chesapeake Bay by 2025. SLAF is a state and local matching grant program that helps address pollution through Green Infrastructure (GI) projects. GI projects include pervious pavement, green roofs, rain gardens and increases urban forestry, and help tackle climate change by conserving energy, decreasing the urban heat island effect and reducing polluted runoff from our streets and rooftops. In the final budget, $20 million was appropriated from the general fund. $20 million is a big deal, not nearly enough, but localities will be able to use that for matching funds for stormwater projects. Agricultural Best Management Practices (BMPs): Ag BMPs are practical measures that producers can take to reduce the amount of fertilizers, pesticides, animal waste, and other pollutants entering our water resources. They are designed to improve water quality while maintaining agricultural production. The budget included $30 million for the VA Agriculture Cost Share Program in FY19 and $20 million more for FY20. I am a School Teacher, but it is being a mother of two boys that started my civic engagement to get rid of polluting plastic straws. My family had an opportunity to swim with “Buddy”, a 100 year old turtle, in Belize. After we got home, we visited the aquarium in Baltimore and learned about the trouble of keeping our oceans free of plastics. After we learned Buddy had died, we decided to go strawless to honor him. That simple, family action sparked a movement. The more we spoke about it, the more people got on board. The kids started sharing their ideas at school and got more children interested, and then we found another group of adults who were also ready to approach businesses. Since then we have spoken to three local restaurant groups and several individual restaurants and all we have gotten are positive responses. We are now ready to implement our plan of making posters and canvassing our local businesses. In January, I reached out to the Clean Water and they have been helping us to strategize and organize ourselves to be most effective. Clean Water is helping to develop local messaging and social marketing material focused on persuading both residents and businesses in Charlottesville to reduce plastic pollution and protect local waterways. With their help, we hope to make Charlottesville strawless! 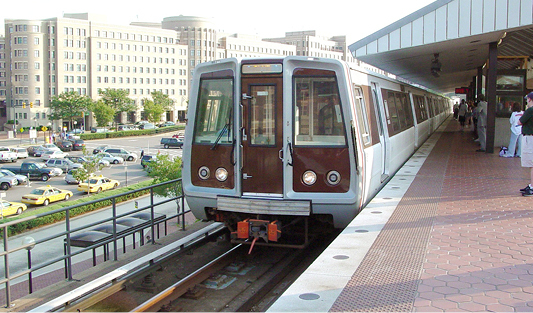 This year, the legislative bodies of DC, Maryland, and Virginia coordinated to provide the Washington Metropolitan Area Transit Authority (WMATA) with a dedicated funding source for the first time in the system’s history. This effort required advocates in all three jurisdictions to work together to make sure that by the end of Maryland’s 90-day legislative session, all three funding sources were in place. Mass transit is an effective way to reduce the impact of transportation on the environment. Reliable and safe mass transit mitigates the reliance on cars by enabling people to use public transportation, a more resource-efficient way to move people. Increasing the use of mass transit has significant environmental benefits when compared to increased reliance on personal vehicles and highways. It reduces greenhouse gas emissions, reduces air pollution, reduces demand for impervious surfaces, and promotes Smart Growth and active communities. WMATA had previously stated a need for a new $500 million in dedicated annual funding to properly maintain system infrastructure, to be allocated among the jurisdictions according to an existing funding formula. In Maryland, we worked with the Fix it, Fund it Metro Coalition to secure $167 million in dedicated funding. The bill that ultimately passed, SB277/HB372, included additional funding to create a much needed Central Maryland Regional Transit Plan. In Virginia we worked with the same coalition to secure the full $154 million share from a General Assembly that has historically been very hostile to transit funding. Finally in DC, prior to either state’s legislative session the Council had already committed to fund its full share if Maryland and Virginia did as well. The Anacostia Park and Community Collaborative (APACC), a coalition of more than two dozen community-based and citywide non-profit organizations, came together in 2016 to create a great socially and economically beneficial civic space, on a clean river, adjacent to healthy, green, diverse, and exemplary communities. With support from the Chesapeake Bay Funders Network’s capacity building initiative, APACC launched as a collaborative project focused on building the capacity of Ward 7 and 8 community groups to participate in decisions affecting the Anacostia and nearby communities. APACC has developed an ambitious 2018 work plan that moves beyond the capacity building initiative. The plan positions the network to influence decision-making around the Anacostia River toxics cleanup, engage more organizations and community members in the restoration of the Anacostia River, its parks, and its communities, and open a dialogue about equity and redevelopment in Ward 7 and 8 communities. APACC will also explore how it can drive a conversation about reinvestment that can help bring in more jobs and businesses, foster community-driven economic growth, and facilitate discussions between the National Parks Service and local residents to identify opportunities for improvements to the river parkland that match local needs and priorities. Malusi Kitchen joined the Chesapeake team at the start of 2018 to build networks and power in communities within the Anacostia River watershed, and coordinate APACC workgroup activities. Malusi Kitchen is a lifelong resident of Maryland and a Washington DC native. Malusi has an active role in his community with the the Zion Baptist Church of Eastland Gardens. He is active in his community, and is a strong proponent for the revitalization of the Anacostia River Corridor. The love of the environment and the love of people is a driving force that propels Malusi to utilize his talents for the betterment of the people that live alongside the Anacostia River. He works in the Eastland Gardens community to involve other community residents in what is happening around the river and how they can become involved in having a say in what happens in the community. Kennilworth Park – Commemorate Kelvin Tyrone Mock: There is no budget in FY 2019 for the cleanup of the National Park Service-controlled Kenilworth Park, which will eventually be transferred to the District. The District will be responsible for cleaning up the northern part of Kenilworth Park, while NPS will be responsible for the southern part. Most likely the Park Service will request the District to pay for the remediation up front, with guaranteed reimbursement from NPS. According to Director Wells, there is not an agreement on a consent decree, which means that DC does not know how much needs to be paid this fiscal year. We will be tracking this issue going forward, as Kenilworth Park is an important asset for the neighborhoods nearby and could be much more of a resource for Ward 7 and the DC region than it is today. We also believe that the District should engage with members of the Kenilworth community and other nearby areas to determine an appropriate way to prioritize investment in the space and to honor the memory of Kelvin Tyrone Mock who died in the landfill beneath Kenilworth Park fifty years ago in 1968. DC government should connect with community members to determine a community-led approach to commemorate Kelvin’s life, and prioritize investment in what is currently Kenilworth Park. Kingman Island – Need for Meaningful Engagement: Mayor Bowser’s commitment is encouraging – we need to have updates and regular progress. DOEE will issue a design-build contract for the first construction phase, which will include project design and island restoration plan ($372,000), securing permits and insurance ($23,000), site preparation, mobilization, and clearing and grubbing ($205,000). $600,000 is allocated for engagement and planning in FY 2019. APACC members advocate for community engagement by a non-government specialist. While APACC members are pleased that the FY 2019 allocation includes planning for both the cleanup and for Kingman and Heritage Islands, the fact remains that real and meaningful community engagement is essential, particularly with residents and stakeholders of Wards 7 and 8. APACC will work with DOEE to encourage them to more meaningfully engage the people whose lives have the most to benefit from improvements to the river. We will monitor DOEE’s planning process and continue to encourage them to invest more heavily in outreach, engagement and transparency. Anacostia River Cleanup: There’s good news in the budget, a win for the Anacostia River and those who want to enjoy all it has to offer. While it’s true that there is a $3.5 million decrease in capital funding for the ARSP (referred to in the budget as Hazardous Material Remediation (Anacostia River)) over the life of project, capital funding in FY 2019 is $8 million, double what was projected for FY 2019 in the FY 2018 proposed budget. This year’s capital funding levels will enable DOEE to continue evaluate the impact on the health of fish and wildlife in the Anacostia River and determine the quantity and quality of sediment contaminants entering the District from Maryland tributaries, and publish the Feasibility Study and Proposed Plan for riverbed restoration.